Hey there geeks! Have you ever seen a Darth Vader Shoer Head before?? Well I saw recently and decided to share this cool item with you people. So, here we go Star Wars fans!! I will tell you what this shower head can do and I will also tell you where can you get one for yourself. By the way, I’m curious about Star Wars: Rogue One. It’s now in theaters but I couldn’t find the chance to go and watch. What are your opinions about it?? Please state your toughts in the comments section below!! Darth Vader Shower Head is brought to us thanks to the hard work of company Oxygenics. These good fellas have developed a shower head which will make even Sith Lords jealous. You can now bath in Darth Vader’s tears. Join me and let’s rule this shower as father and son! 3 spray settings which are powerful enough to rinse and clean fast. The patented technlogy of Oxygenics. You can control the pressure by adjusting the comfort control lever. A great alternative for sensitive bathers. 72” (182 cm) hose. It can rech every part of your body you desire. It’s WaterSense-certified and will save up to 85 dollars plus per year. What Others Think About It?? Here are some real user comments from Amazon. 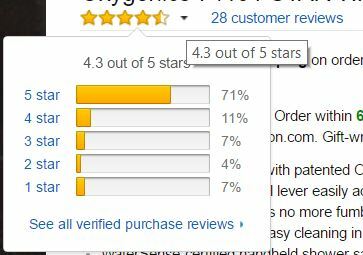 It actually has a 4.5 star rating out of 5, which means that it’s an AMAZING rating as a product. The best place to buy Darth Vader Shower Head is Amazon.com. Due to their great retail service and proven quality there are millions of people who are using Amazon. One of the worlds biggest online sales company and you can catch some HUGE discounts if you check the products out at the right time. 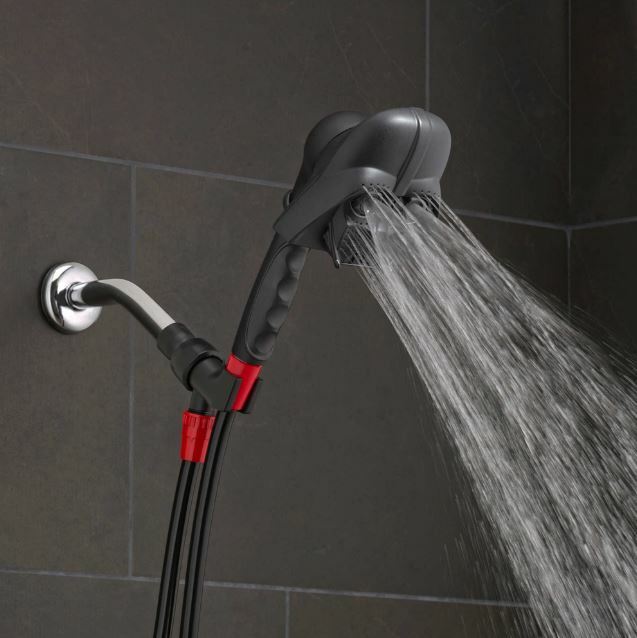 Now you know what Darth Vader shower head can do for you. It’s not only a cool gadget brought to you from the deepest corners of Dark Side, but it’s also hell of a shower head which can save you water and improve your shower experience. Not your standard shower head, huh?? Don’t forget to comment for this and all our other posts of santagotgeek.com and don’t forget to check out all our content to find amazing stuff to spend your hard earned money on! !